The sky is black...the power's off...there's a scratching at the window...distant sub bass drifts towards you through broken glass...what's happening here?! Is the day of reckoning upon us?! It is! 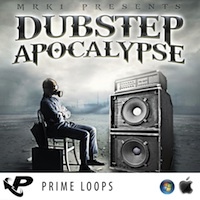 From across the now barren landscape comes hurtling a Dubstep sample pack that'll have you both screaming with mad glee and cowering behind your sofa - it's "Dubstep Apocalypse" as presented by MRK1! Dare you come from out of your house to survey the wreckage, you'll find over 215MB of the most frenzied, fatalistic Dubstep loops ever to survive a nuclear fallout. 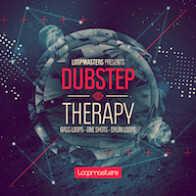 From saw-toothed basslines, thundering drum loops and carnivorous synth leads to earth shattering drum one-shots and FX, "Dubstep Apocalypse" will put the power in your tracks to take control of the wasted dancefloor! 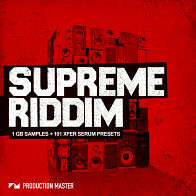 All the explosions, crashing and booming of the apocalypse resonate and quake throughout this pack, with monumental drums and wobble basslines dominating the sound. 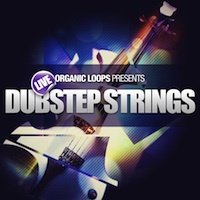 If they're still standing, you might catch Skrillex, Zedd, Flux Pavilion, Knife Party and NERO handbanging to these loops sometime in the murky future - give them a try and hope to hell this wobble toxin isn't too much to take! Stop crying about those sunflowers you used to like in your backgarden and revel in the dust and smoke - it's time to enter the domain of the "Dubstep Apocalypse"! The Following End User License Agreement is included with Dubstep Apocalypse. 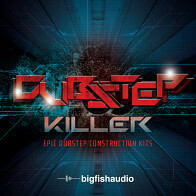 This License is only valid for the individual who has purchased an unopened, new and lawfully made copy of Dubstep Apocalypse from a dealer or distributor authorized by Big Fish Audio.